'The bar will be open at 10am,' the publican said. 'His very words were "no way would we get the job",' she said. Do you see what relationship the quote marks have to the commas, particularly in the second example? (If you were using double quote marks instead of single for the initial quotation, you'd use single quote marks for the enclosed quote: "His very words were 'no way would we get the job'," she said.) 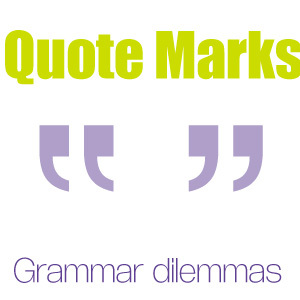 Quote marks typically are placed outside the comma, period, question mark or exclamation mark in the case of direct or reported speech. In the second example, where you have a quote-within-a-quote, the comma is placed after the quote-within-a-quote, then the final single quote mark closes the entire quotation. 'We believe the Shrdlu Widget to be the most advanced of its type,' said Fred Nurk, Managing Director. 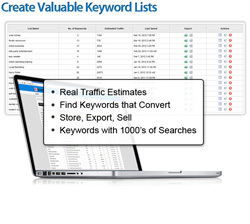 'The widget outperforms its competitors in several ways. 'Firstly, its battery life is three times longer than that of its closest competitor. That means it can operate for up to three weeks without needing to be recharged. 'Secondly, the Shrdlu is the smallest widget on the market, and its convenient size means it can fit into your wallet if necessary. 'Finally, its durable aluminium casing means it is less prone to damage than many of its competitors,' Mr Nurk said. Notice that you don't close the quote marks at the end of each sentence or paragraph while Mr Nurk is still being quoted. You simply put a quote mark at the beginning of each new paragraph, and finally, when Mr Nurk's quote has been completed, close the quotation with a quote mark outside the final comma. 'We challenge anyone to make a better widget!' declared Fred Nurk. 'Can you believe how light yet powerful this widget is?' asked Mr Nurk. Economists describe this as the 'gross national product'. Politicians 'care' about what voters need and want. The boy said, 'I wish you would keep quiet', but his sister took no notice. There was a cacophony of noise in the airport terminal. He strained to listen. 'Flight 15 is now boarding', 'Flight 60 from Hobart has landed' and 'Will passenger Smith for Flight 40 to Brisbane please make yourself known at the terminal' were the only three announcements he could understand. I hope this has helped you understand where to place quote marks when you're writing. If you need help proofreading or writing, contact us to find out more about our services. If any of my journos wrote in this stlted style, I’d be very annoyed, although it is typical of very many press releases. Managing director (no caps for director) Fred Nurk is confident the Shrdlu Widget is the most advanced of its type. ‘The widget outperforms its competitors in several ways,’ Mr Nurk said. ‘Firstly, its battery life is three times longer than that of its closest competitor. That means it can operate for up to three weeks without needing to be recharged. ‘Secondly, the Shrdlu is the smallest widget on the market, and its convenient size means it can fit into your wallet if necessary. After working for many media organisations in the past 40 years, I am yet to see one that uses single quotes rather than double. But yes, the Australian Government style manual does use single quotes with doubles for subquotes. Thanks Jack. The Shrdlu story was indeed intended to be viewed as a mock press release. Thanks for reading and thanks for your comment. I find it hard to use single quotes too after a lifetime of using double quotes.